You pegged it. I’m not “defending” him. It’s not an all or nothing issue. At Tennessee, it basically was. That's my point. At a school like Tennessee you can't be a successful AD while also making horrible personnel decisions related to the head football coach. You have to nail, or at least be pretty good, at that if you want to keep your job. Being an AD at a big time athletic program isn't a job I'd like to have. The football coach and/or the basketball coach make more money than you and are bigger/more influential figures than you, but you're their boss. You're pulled in a million different directions by various people. The vast majority of most AD's revenues come from football, and the overwhelming majority of every AD's revenues come from football + basketball. If you screw up on a hire there, you're done. Whether you are a success or failure will hinge upon who you hire for one, maybe two particular jobs. Nothing else really matters, because it doesn't move the needle in terms of revenue. Perhaps you could bail yourself out of bad football/basketball hires if you were an incredible fundraiser, but that's pushing it. The UT admin knew Currie would most likely have to hire a football coach in Dec of 2017. Why they hired an AD who had the reputation Currie did with football coaches (his war with Martin and Snyder at KState was well known) just shows the incompetence of those making decisions in Knoxville. Hopefully that is changing now. Hire Leach and he’s not considered a failure at hiring a coach...all’s I’m saying. And if he’d have bumped him up in the order before flubbing AFTER Schiano, that’s where we’d be at. I believe it would’ve still led to failure because Leach isn’t a SEC level recruiter. Won’t have the same set of expectations at Wake Forest, so I can see him succeeding there. I think the Currie fiasco had as much or more to do with Bev and the existing dysfunction in the AD. The Schiano thing was about as time deaf a thing as I can recall, but I’d say he was scrambling once Mullen took the UF job. No matter who Currie rolled out (not named Gruden) would've been met with similar results as Schiano, If UT rolled out Pruitt there would've been a riot because he preferred cornbread over biscuits. Hiring a Football coach at UT has become a damn near impossibility the 1st go-around . Thank goodness Gruden coaches in the NFL now! I disagree. He could have killed the Gruden talk. Haslem must have told him not to. Then they roll out Schiano. Hiring another coach with ZERO. experience in the SEC wasn’t something that would get any fan base excited after 2 of the last 3 coaches failed. Currie was a Haslem stool pigeon, nothing more. 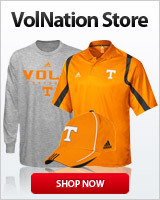 Vol fans stopped a disaster with Schiano hire and got a first class a$$hole fired. Good days work if you ask me! Didnt see this posted unless its in the Around the NCAA forum. Depends on if Leach was successful at Tennessee. A Leach hire would have required you to reserve judgment on Currie's ability to hire a coach until Leach was proven to be good, bad, or mediocre at Tennessee. Instead, he failed to hire a coach, period, because he botched the search to badly. It was disastrous. There really isn't much else to say. Currie's expectations at Wake are totally different than Tennessee, so his chances of success are better there, I agree. At Wake, he needs to hire a basketball coach who won't be embarrassing and raise some money. He's already proven to be a good fundraiser, so he shouldn't struggle at that. We’d be in Leach’s second season and (if you haven’t been paying attention) we judge the instantly right now! No wait for the facts to become so. Leach has enough personal fans to sway that positive for the short term. Up until the football hire fiasco (which we won't go into) most people thought he was doing a great job. He hired Vitello, a new Volleyball coach, brought back the "Lady" Vols. Actually I think he did hire Vitello and the mens tennis coach. Volleyball coach on phils watch I believe. Not sure if it will be a better job that he leaves for, but I agree, Clawson probably won't be there much longer with Currie as his boss. The only thing that Currie has done well as an AD is raising funds. He is a failure at dealing with coaches, as you pointed out. He ran Frank Martin out of Manahttan, who then took USCjr to the Final Four. Martin stole a Final Four. That team was average at best and got hot at the right time. Haven’t done anything since. There’s a lot to hate on Currie for, but this is always the funniest one. Frank Martin was on a collision course to going Bobby Knight. Not the good championship winning version. The kick a player throw a potted plant at a receptionist model. He should thank Currie if he ever makes the HOF. Martin is a heck of a coach and you don't run off someone who can recruit that type of talent to Manhattan, KS. He’s a better coach because of it. He was going to get fired by somebody on that course. What a disaster. Perfect fit for Currie. Manning has one of the worst buyouts and has been stinking it up. Something like 18 million to get him out. Clawson not exactly a world beater either. He's 22-17 with 3 consecutive bowl wins over the last 3 years. That's more than good enough at Wake in football.